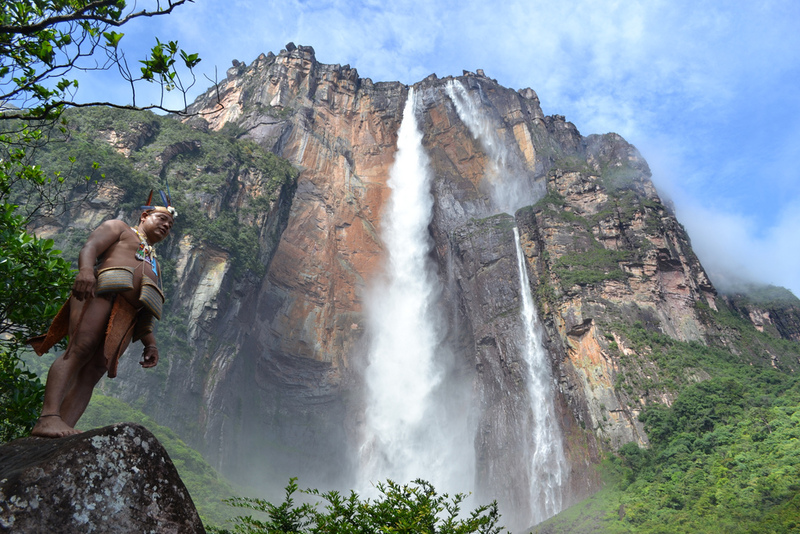 Angel Falls (El Salto Angel) is the highest waterfall in the world, with a height of 1,002 m and is located in the territory covered by the Canaima National Park in Bolivar State, along Venezuela’s border with Brazil. It is more than 19 times higher than Niagara Falls. Its water is uninterrupted fall of 807m. What is perhaps not so well known is that the name by which this huge waterfall all know has nothing to do with celestial creatures, but was given by the American pilot Jimmy Angel (James Crawford Angel) in 1931, during one reconnaissance flight over the jungle, then photographed the waterfall that bear his name and his fall estimated at 1,000 meters. The Hudsucker Proxy, clear, and had been seen by the Indians, who knew him by the name of Kerepakupai vein, meaning “jump the deepest place”, and even when we know the Angel Falls by the name of this brave American pilot the origin of his discovery for Western civilization is not entirely clear, to the point that in the wikipedia page we can find both versions on its official discovery: according to one, Felix Cardona Puig explorer was the first to record a map in 1927. The other version says Ernesto Sanchez La Cruz have mapped describing the jump in 1910 to the Ministry of Mines and Hydrocarbons. One of the things that draws attention to the visitors to the Angel for the first time (in the rainy season, of course) is the huge amount of water that emerges from the top of the plateau … Where does so much water? The answer is that the Auyantepuy is the greatest of all the tepuis. It has an area of ​​approximately 700 km ² and a maximum altitude of 2,460 m Its larger end is a northwest-southeast and is about fifty miles long, while its widest point is about 35 kilometers. The surface of this colossal tepuy is similar to Margarita Island, without the share Macanao Peninsula, which provides 330 of the 1071 km ² which owns the island. 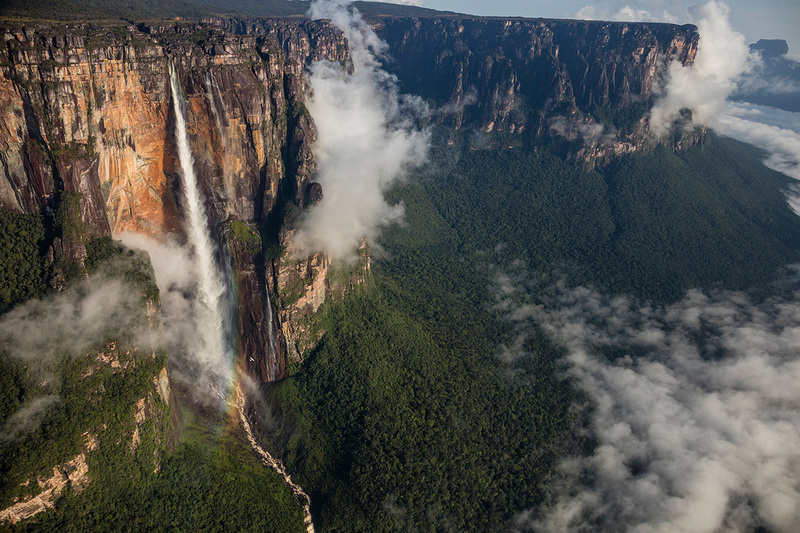 With such extension and because of the high level of rainfall that characterizes the region, it is not surprising that its flattened summit is crossed by large rivers that feed on the abundant rain often falling on the vast surface of the tepui, which run slowly on top until finally they reach the edge of the plateau and throw their empty waters. In any case, what is clear is that Jimmy Angel was the first to see the jump from the air, photographing and organizing an expedition for a more comprehensive survey of the area. To address the need to show your flight certificate of yellow fever vaccination, as in other parts of South America. Try fly from Ciudad Bolivar (lower cost). If you are in Caracas, you just need to take a night bus, about 10 hours away.